Being upfront and honest with a potential client will help build a successful relationship that can last long-term. Explaining how your services can help their company and how the use of technology will impact their day-to-day business is key to building a trusting relationship. On the other hand, being dishonest about your services will only lead to disappointment and can severely damage the relations with your clients. Even if your IT services cannot fulfill the needs of your client, be honest than trying to mislead a customer about the services you provide. Do you ever struggle with asking the right question? Depending on how you ask a question can lead to a wide variety of answers. For example, saying “Why did you do that” has a negative connotation and it is much better to ask “What made you do that?” Understanding these key differences will create a more fruitful relationship and make talks with clients much more productive. Over time, you will notice which sales pitches work better than others and can adjust your sales game plan accordingly. One of the most effective MSP marketing techniques is to avoid using the same generic sales pitch but actually to listen to each potential client. For example, if they are concerned about security with cloud technology, take the time to listen to their concerns and explain to them how the cloud services are much safer than storing information within an office. 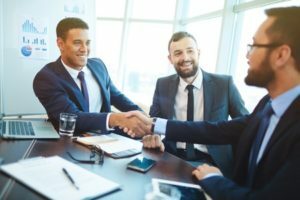 Specifically listening to the needs of each potential client will enable you to give a much more effective sales pitch that is personalized to their unique needs. Always do your research regarding each potential client, as it will make it much easier to identify their needs and it will help you create an effective sales pitch. Failure to do your homework can limit your sales strategy and make it much more difficult to avoid using generic sale pitches. The more time you spend researching a potential client will make the conversation flow more natural and can help you connect with them much easier. Always making research will enable you to reap long-lasting positive results that can lead to gaining a new client. Understanding these MSP marketing techniques will enable you to grow your company and reach a wide variety of clients. Always being honest will lead to positive results and will help build your reputation into one of the premier managed services available. Rephrasing common questions can lead to much better results and help you to expand your consumer base. Similarly, listening to concerns of each client will enable you to personalize your services around their needs, which will make you stand out from the rest of the IT providers in the field. Finally, doing your homework on potential clients will make it much easier to appeal to their needs and help demonstrate how the use of technology can have a significant impact on their business. Your business will grow as you apply these techniques and reach more customers.